In this post, i will be guiding you through a process you can use to place an ad banner below blogger top navigation pages for desktop view. 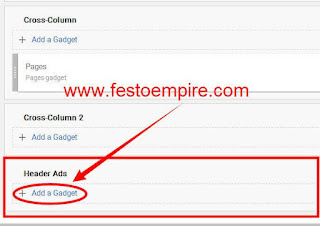 This trick will enable you to display even more than two ad banners below the pages. The banner can be Google adsense ad, an affiliate program banner or a personal advert banner you can use to promote your products and services. ==> Go to your blog dashboard,click on "Theme". 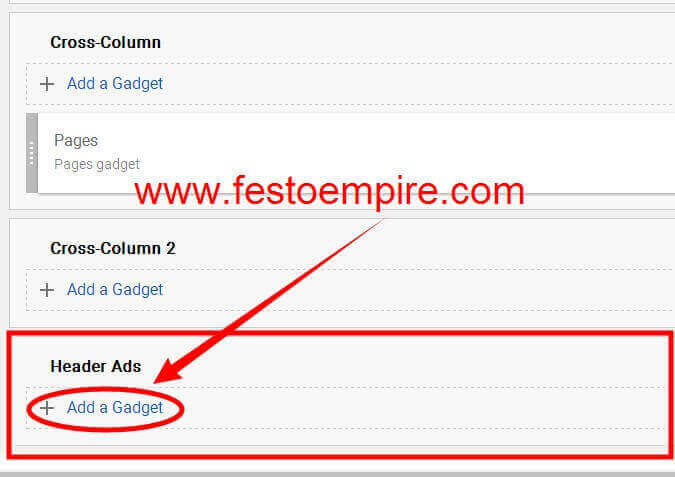 ==> Go to "Edit HTML"
==> Go to "Layout' and will now see a new widget titled "Header Ads" that will enable you to add a New Gadget for your advert code as seen in screenshot below. ==> Copy and paste your ad code in it and save. We will like to here from you if this post helped you.